Celebrates NASA's many accomplishments in space and catapults viewers forward to where its headed in the future. 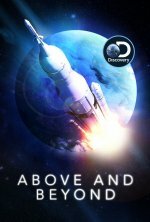 Above and Beyond release date was Saturday, September 29, 2018. This was a 1 Day Only release. added the tagline: "NASA's Journey to Tomorrow"